For many teenagers, having a mouthful of metal at one point in adolescence is an expected custom. Traditional braces have been the norm for some time in teen orthodontic treatment. Accordingly, for the most part, kids have grown accustomed to the understanding that (if they want their teeth straightened) at some point their smile will have to be compromised by brackets and wires. However, what many do not know is that there is another option – Invisalign. Eliminating the dietary restrictions of metal braces, allowing you to eat what you want. Being more comfortable, as the soft and flexible material that Invisalign aligners are made from will not irritate the inside of your mouth. Protecting your teeth from grinding or clenching during the day, or while you sleep. How Does Invisalign Work? Good Question! Invisalign aligners, like traditional braces, work to carefully apply controlled forces to move teeth into the correct positions over time. For invisalign, to begin with, specialized computer software designs a plan for moving your teeth. Then, based on this, a set of Invisalign aligners is made for you (one aligner for the top row of your teeth and one for the bottom row). 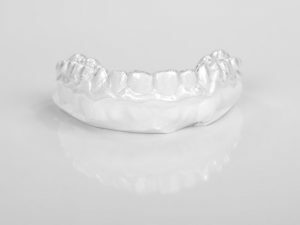 You, as the patient, must then wear the aligners for no less than 20 hours a day every day for two weeks. At that point, you return to your orthodontist’s office and receive a new set of aligners. This process will repeat for the duration of treatment – resulting in the straightening of your teeth. Meanwhile, the Invisalign Teen aligners’ “compliance indicators” will let your orthodontist know how frequently you have been wearing them, and their “eruption tabs” hold space for teeth that have not yet fully erupted. Imagine a world where you don’t have to pose for a Yearbook Picture with a metallic grin, and where you can eat corn-on-the-cob and ribs, and where you don’t have to be a contortionist to clean the ins and outs of your teeth properly. Well, that world is a real possibility if you decide to invest in Invisalign or Invisalign Teen instead of traditional braces. Interested? Call Your Fort Worth Orthodontist! To learn more about these services, and other options for your teeth-straightening endeavors, contact us at Birth Stewart Fletcher Orthodontics today. Our skilled and caring team is always excited to help patients achieve the brighter, more beautiful smiles they aspire to.